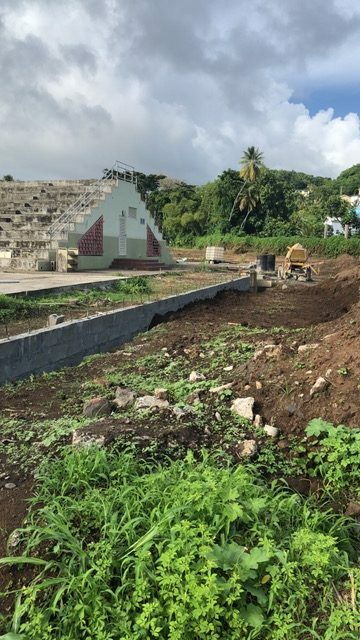 There was the erection of a 12 ft wall leading to the college and opposite the tennis courts. A large drain was constructed to facilitate the incoming water from college which used to flood the tennis facilities, as a result, this new drain will take said water and take it to the nearby river. The Club house was treated for the infestation of terminates. An additional room was built to the back of the building for the in-house work man. 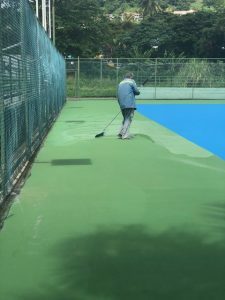 The courts are being upgraded in time for the upcoming SVGTA SVGCup slated for Oct. 29th – 3rd Nov.
Dipcon is engaged in upgrading the college courts to expand the number of courts available for tennis. These upgraded courts will be multipurpose. There is extensive repairs of the electrical and plumbing systems at the centre. 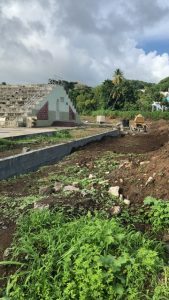 An additional backwall on the eastern side close to the river will be built to mitigate flooding on that side of the property. 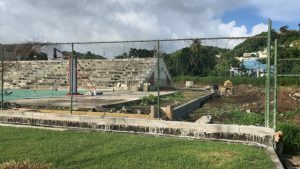 These repairs will be done in phases over a period of time. 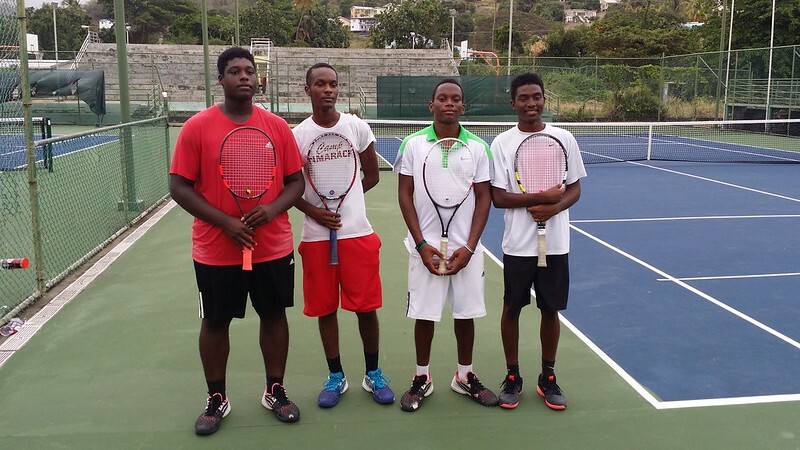 On Saturday 25th August, 2018, three 18 & under tennis players and one coach/chaperone from St. Vincent and the Grenadines journeyed to Antigua to attend the Wadadli Bowl, a Grade 5 tournament. 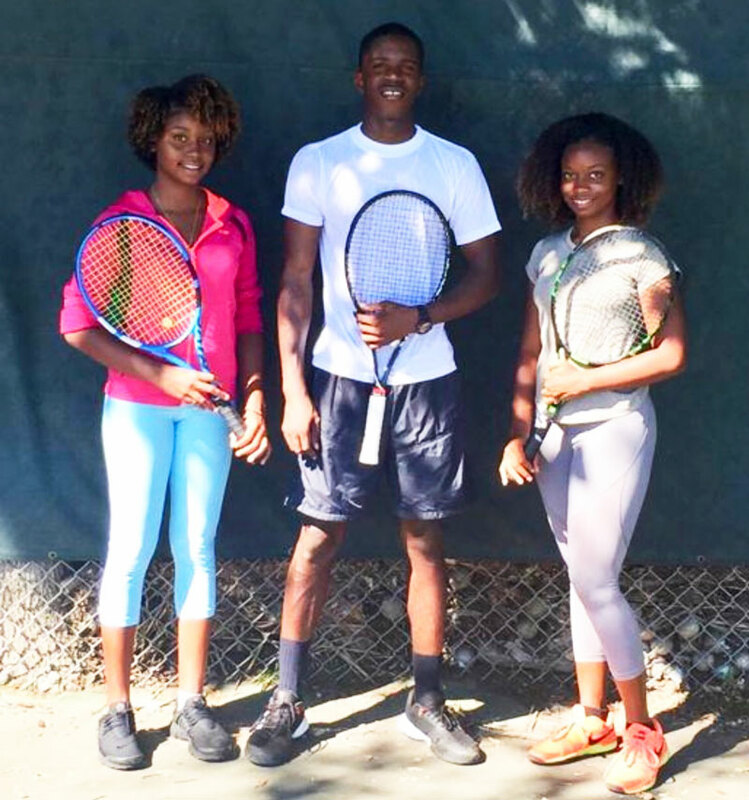 Amarlia and Gabrielle Benn participated in the Girls 18 & under singles and doubles competition, while Richand Hoyte played in the Boys 18 & under singles and doubles competition. 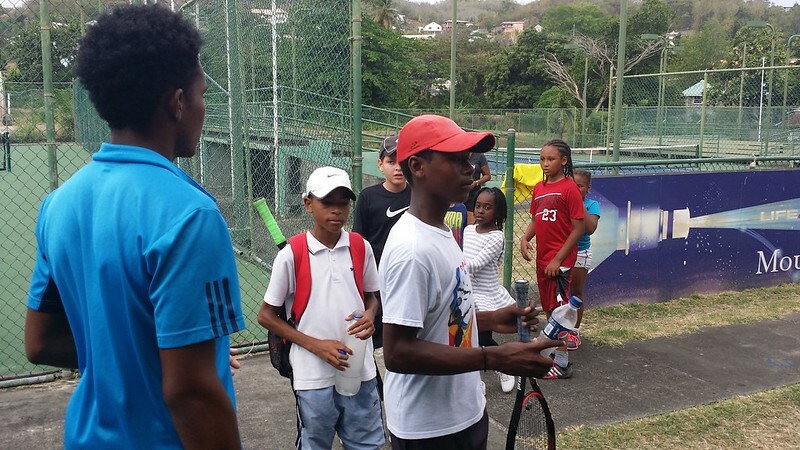 They were accompanied by Roxann Williams, Level 1 tennis coach, to the host nation Antigua where they played at the National Tennis Centre Campsite in St Johns. As of September 3rd 2018, Amarlia Benn is ranked 1870, and Gabrielle is ranked 2230, Richand has yet to acquire a rank. 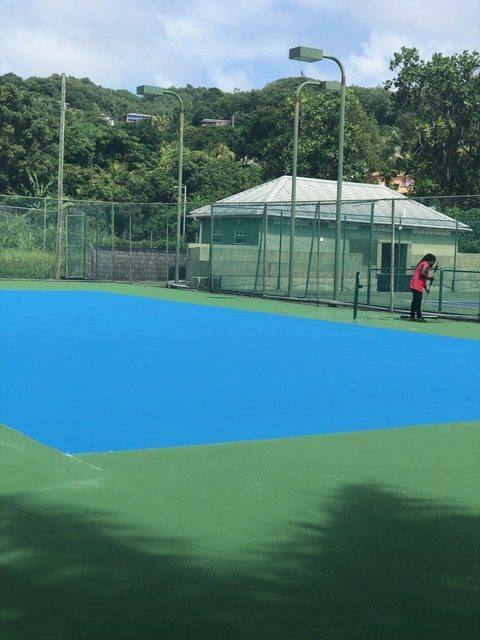 St. Vincent and the Grenadines was represented at the 3rd Caribbean Regional Coaches Conference hosted by Trinidad – TennisTT on the 19th -21st of September, 2018, by three members of the St. Vincent and the Grenadines Tennis Association and three Level 1 coaches. 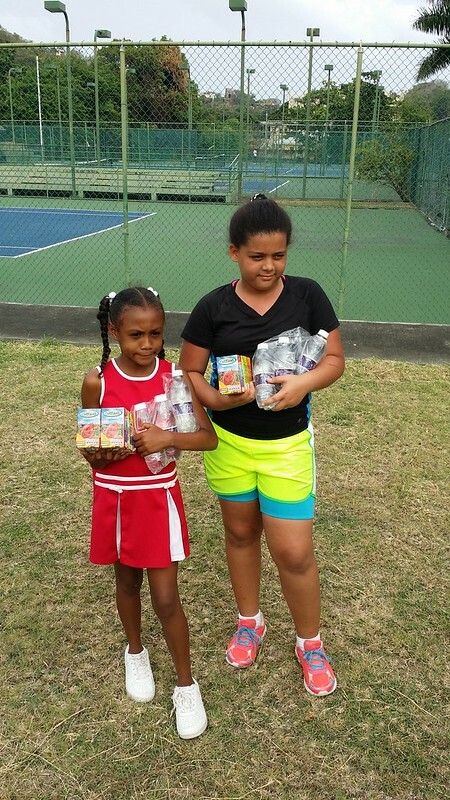 Two of the attendees were sponsored by the National Olympic Committee in St. Vincent, while one coach, Kevin Huggins was given a grant by the International Tennis Federation. This conference was aimed at getting all the coaches in the Caribbean together to discuss tennis: for example, matters relating to Caribbean tennis and how coaches can get more persons to start and remain in tennis, sharing new ways/techniques to help players improve their game and new strategies to improve the mental strength of our tennis athletes. This conference also highlighted what the other countries are doing in tennis and the different tournaments they are a part of, whilst give the listening coaches and well-wishers some advice on what to do and not to do. 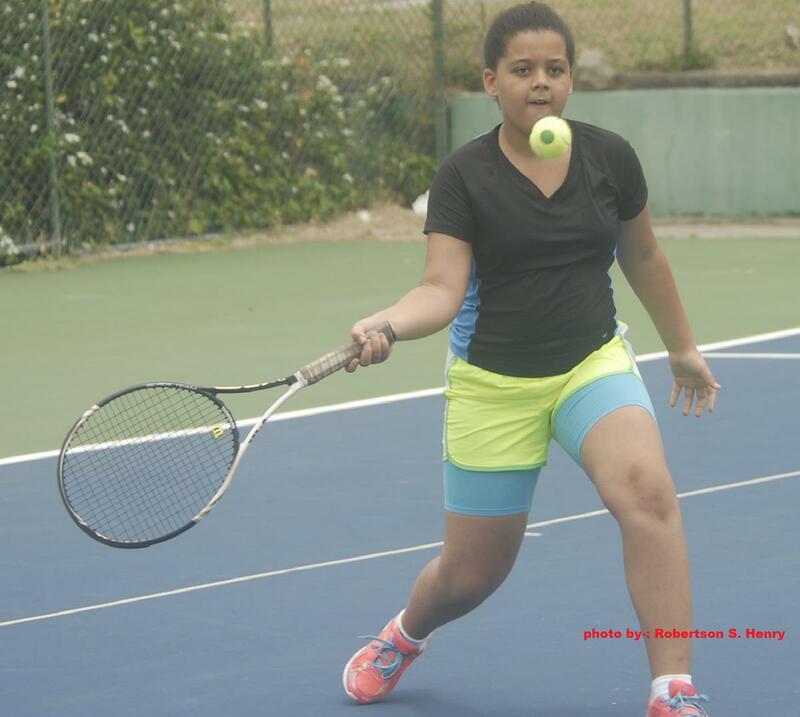 Moreover, information was shared on how to deal with female tennis players in a more effective way to ensure that they are encouraged to stay in the sport and reach great or greater heights as the boys in the region. There were presenters from different parts of the world, such as Barbados, Canada, Great Britain, Grenada, Suriname, Spain, Trinidad and Tobago, and the U.S.A. 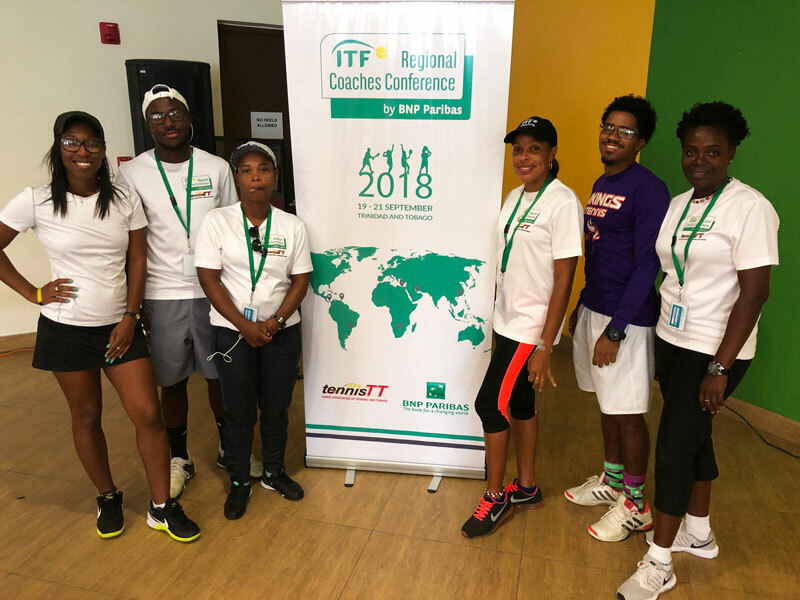 The first of the 2018 series of ITF Regional Coaches Conferences by BNP Paribas took place in Port of Spain, Trinidad and Tobago from 19 to 21 September. 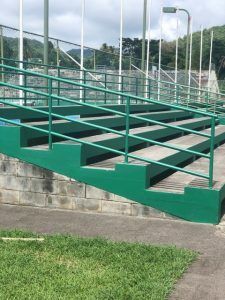 The conferences are focused on the themes of female tennis and schools tennis but presentations can still come from a wide range of disciplines, i.e. biomechanics, tactics, technique, psychology, marketing and physiology, whilst relating to the main themes. 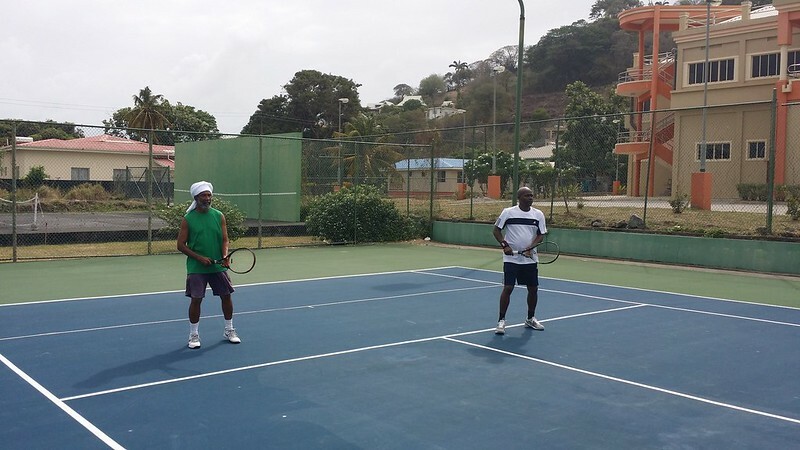 The National Tennis Singles were recently completed at the National Tennis Centre at Villa. 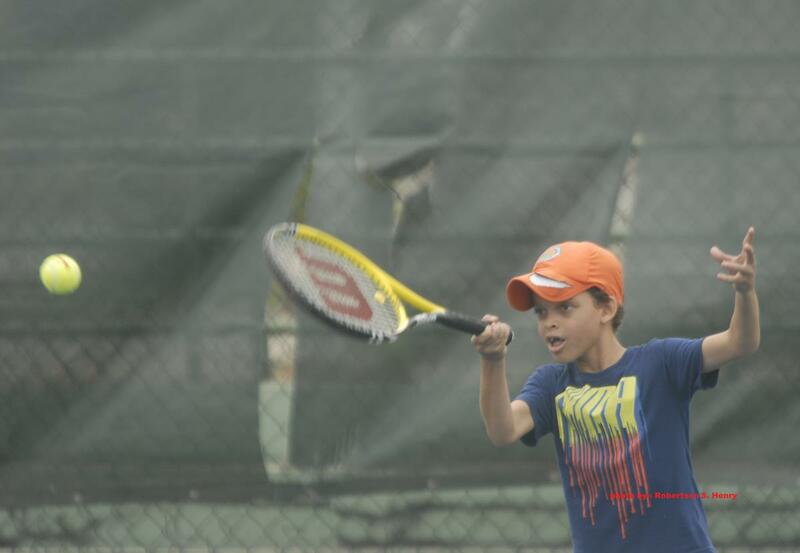 A one day Mini Tournament was held recently at the National Tennis Centre at Villa. 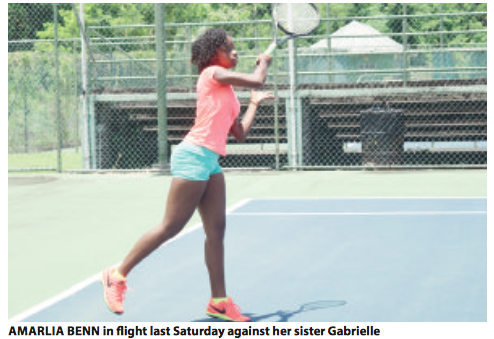 KINGSTOWN, ST. VINCENT AND THE GRENADINES – Last Saturday, the St. Vincent and the Grenadines Tennis Association held its Mini-Doubles tournament and barb-be-que at the National Tennis Centre at Villa. 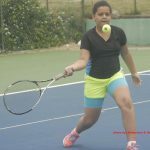 In on court action in the Girls Under 12’s final: Afe Lucas defeated Saige Bascombe 10-7, while in the Boys under 12’s: Che Connell defeated Afi Lucas 13-11. 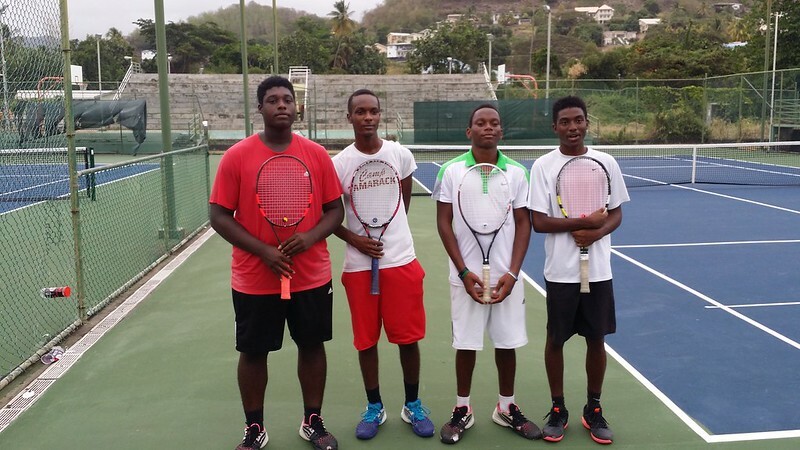 Akeil Deroche and Antonio Caine defeated Rio Connell and Che Connell 10-3 Boys Under 14’s Doubles final, while in the Women’s Open Doubles, Dene and Luka Lyttle defeated Brianna Nash and Nicolette Hadaway 10-2, and Taj Ballantyne and Imani King defeated Lyle Hull and Akeem Guy 2-0 in the Men’s Open Doubles final. 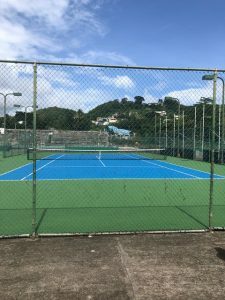 Meanwhile the St. Vincent and the Grenadines Tennis Association held an executive meeting on Tuesday evening May 03, 2016, with one of the items on the agenda was a review of the Mini-Doubles Tennis Tournament and bar-be-que last Saturday. 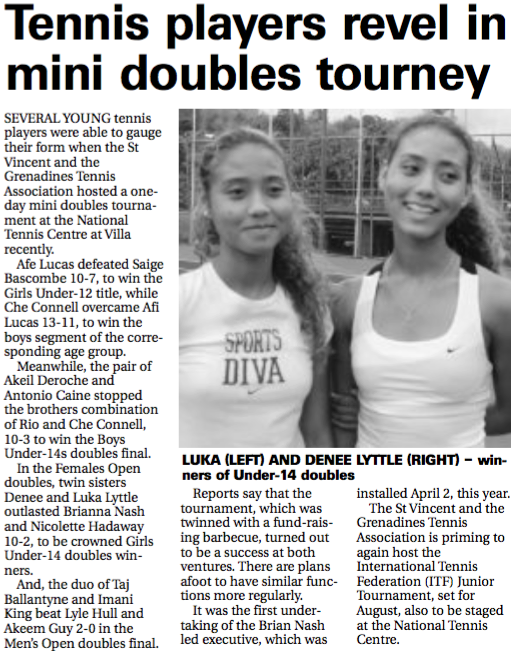 Following the said review, it can be reported that last Saturday’s Mini-Doubles Tennis Tournament and bar-be-que was a success. Scores of kids of various age groups and their parents, along with past executive officials of the SVGTA, took part in the day long activity. The executive at Tuesday’s meeting also took the decision to host such events on a regular basis, for it serves a multiplicity of purposes. 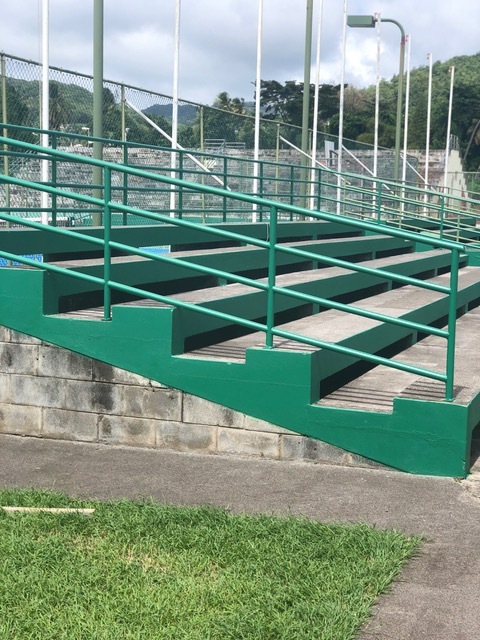 These purposes will serve the development of the sport of tennis in St. Vincent and the Grenadines positively, as the current executive seeks to lay down a pathway, which would allow members, players, and supporters to assist the SVGTA in realizing its potential in all facets. Since its election into office on April 02, 2016, the SVGTA Executive has been very busy. Meetings have been held with the Minister of Sports, the Manager of the National Sports Council, and the Chairman of the National Lotteries Authority; in addition to meeting with the immediate past president of the SVGTA. Plans are being put together for the hosting of the 2016 International Tennis Federation Junior Tennis Tournament; a responsibility of the recently installed ITF Tournament Committee. 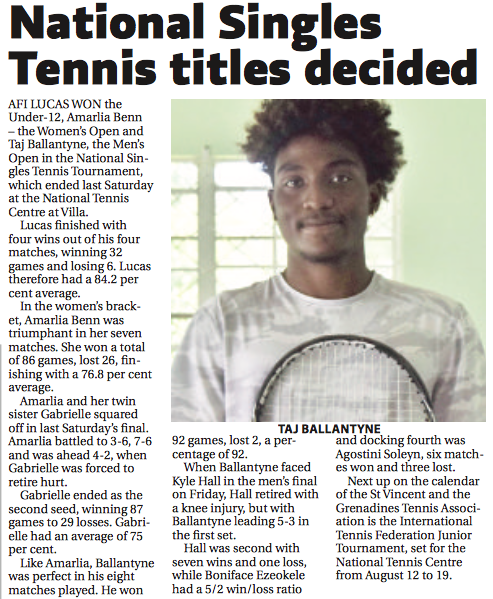 This ITF tournament will be played in August and will see scores of players from many countries descending unto the shores of St. Vincent and the Grenadines, as they along with the Vincentian counterparts, seek glory on the tennis courts at Villa in a bid to gain international points. 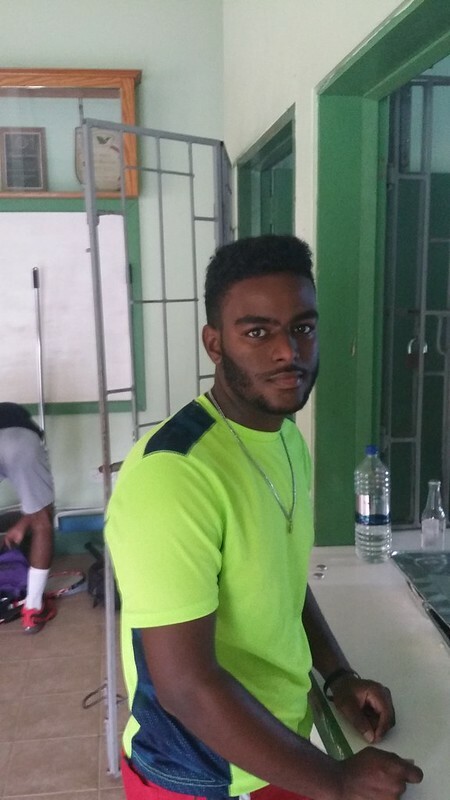 MONDAY APRIL 04, 2016; KINGSTOWN, ST. VINCENT AND THE GRENADINES – The St. Vincent and the Grenadines Tennis Association on Saturday April 02, 2016 elected a new executive, following months of uncertainty. The new executive has hit the ground running due to a number of factors, and is expected to hold its first meeting on Monday April 04, 2016. 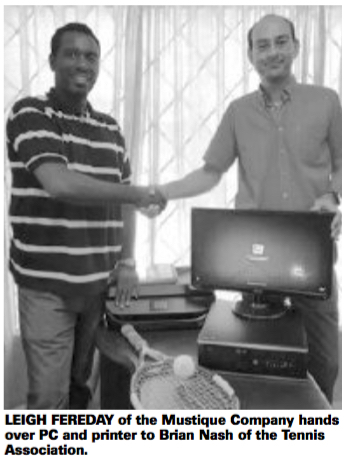 This meeting is to lay the groundwork in addressing a number of issues, but not limited to COTECC and ITF fees, preparation for the hosting of the 2016 International Tennis federation Junior Tennis tournament, preparation of leading junior players for future tournament, proper management systems for the National Tennis Center, reconciliation of finances, strengthening of relationships with the private sector, all age-group tennis tournaments, implementation of a grassroots tennis program, programs for coaches and other technical personnel within the association, and overall improvement of the management of the sport of tennis in St. Vincent and the Grenadines. 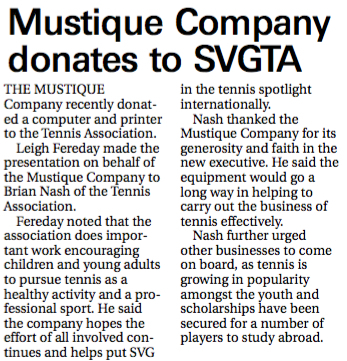 Newly elected SVGTA president Brian Nash in his welcome remarks on Saturday night expressed thanks to the outgoing remainder of the past executive, for their efforts, and wished them well in their future endeavors. 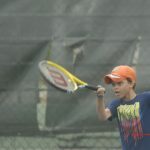 Meanwhile Nash congratulated the players returning from tennis tournament in Barbados and Trinidad and Tobago, stating, “I would like to congratulate our team on matches won.